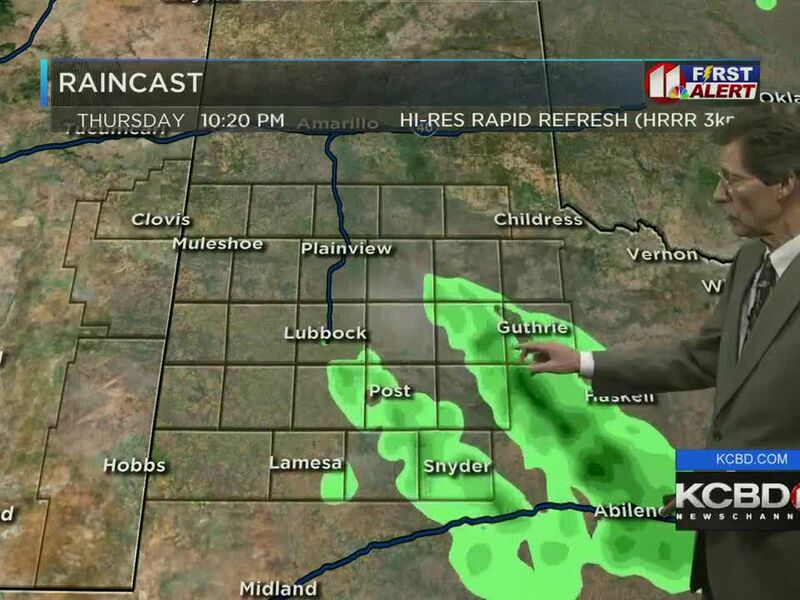 LUBBOCK, TX (KCBD) - Are you ready for warmer weather? Much warmer? This afternoon will be 25 or more degrees warmer than yesterdays! Even at that, highs will still be about five degrees shy of the average for the date. The following two afternoons will be even warmer. The warm up, however, may be followed by thunderstorms. Through the end of the work week we will have dry and warmer days, and not-so-cold nights. Highs today will be in the 50s and Thursday and Friday in the 60s. All three days we will have gusty winds at times, with gusts from 30 to 40 mph possible. The next weather system (a short-wave trough) will move from the southwestern US Friday morning into southwestern Texas late Friday. This may destabilize the atmosphere enough for thunderstorm development Friday evening into Friday night. At this time, severe storms are not anticipated in the viewing area, but any activity may be strengthening as it develops and moves eastward Friday night. As that weather system moves away to the east on Saturday, it will bring us cooler air, strong winds, and possibly blowing dust. The 34° referenced in my post yesterday was not the high for the day. The temperature spike to 34° yesterday morning reported by the automated weather station at the airport is considered an error and has been discounted. 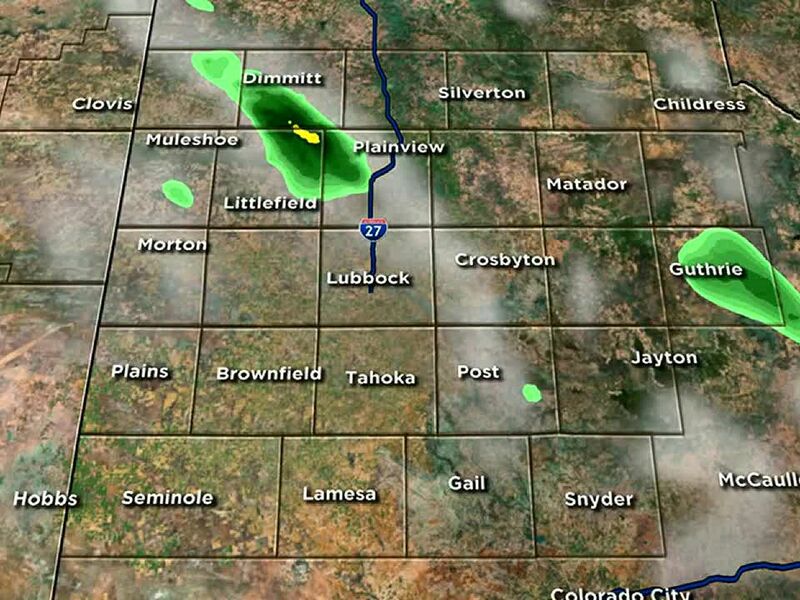 Lubbock’s low yesterday was 23°, eight degrees below the average for the date. The high was 30°, thirty degrees below average! The February 19 record low is 2° (1978) and the record high 85° (2016). 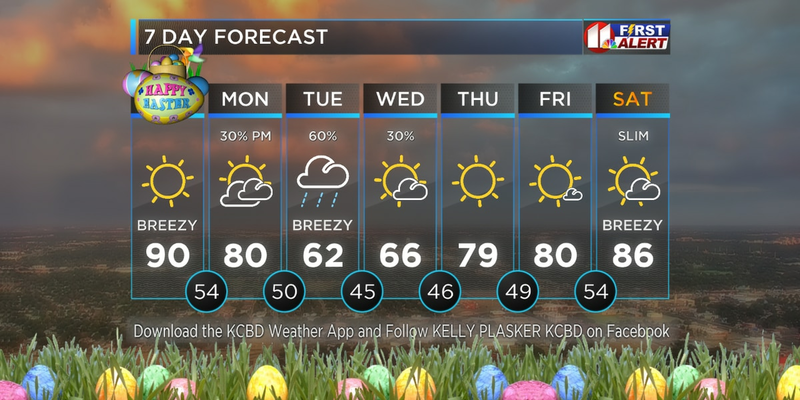 For today, February 20, Lubbock’s average low is 31° and the high 60°. The record low is 4° (1918) and the record high 85° (2016). Today's sunset in Lubbock will be at 6:36 PM CST and tomorrow's sunrise at 7:25 AM CST. February 20, 1961: The biggest snowstorm of the season and one of the heaviest ever on record for the South Plains began, hitting hard Hockley, Yoakum, Lamb, Cochran, Lubbock, and Terry Counties. Amounts ranged from 10 to 20 inches, with 20 inches measured at both Plains and Levelland and 12 inches recorded at Lubbock, 24-hour records for snowfall. At Levelland the weight of the snow collapsed roofs of four cotton warehouses and a number of carports. In Lubbock the roof of a warehouse collapsed. February 20, 1971: A paralyzing blizzard, the worst since the March 1957 storm, began, transforming the far northern South Plains and Texas Panhandle into one vast snowfield. Snowfall amounts ranged from 6 to 25 inches and, whipped by winds of up to 60 mph, was blown into drifts up to 12 feet high! Temperatures in the low 20s and upper teens resulted in dangerous wind chills. All highways were closed from about Plainview north into Oklahoma, and west into New Mexico. Three people died as a direct result of the storm. Property losses were estimated at $100,000, while livestock losses were exceptionally heavy at nearly $3 million. Similar to a less intense blizzard in 1970, the worst impacts were focused north of the South Plains.